Hey everyone! I hope you all are doing well! Welcome to the latest session of Teen Jazz Radio. And of course, before we get started, I want to thank you each of you for listening in. I appreciate you taking the time out of your busy schedules to listen to our podcast and discover the talented artists we feature on the show. For those of you who are just joining us, Teen Jazz and Teen Jazz Radio are websites (and now a podcast) dedicated to emerging young performers. We have a ton of articles on the music industry, album and concert reviews, and we feature the profiles and music of many talented musicians. 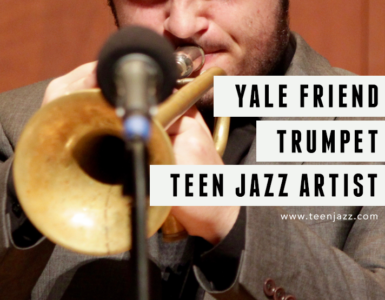 If you’re interested in finding out more about Teen Jazz, please visit TeenJazz.com. My name is Shannon Kennedy. I am the host of Teen Jazz and I myself am a performer. If you want to find out more about me, my website is shannon-kennedy.com. Today we have a very special guest. Saxophonist Steve Cole is an established performer, recording artist and educator from the Chicago area and he has granted us the opportunity to speak with him. As a part of this interview, we’re going to talk about how he got started and what his advice is for up and coming musicians. So, I’d like to welcome Steve Cole and thank him for taking the time to talk to us. So let’s get going. Why don’t you talk a little bit about how you got started ? Well, I got started how a lot of people get started. Just, uh, it was time to be in band. But I had a little bit of an advantage. My father was a musician and he played saxophone, so we had one in the house. So I picked it up and initially had a little bit of a love/hate relationship with the instrument. I kind of figured how to play music on my own kind of by ear. And struggled a little bit with all of the methodology, you know, learning to read music and having to play music and things like that. It was kind of interesting and I kind of went back and forth with it. In school, I was in band and I was out of band. I was in band. But I had this pretty common… Once I got to high school my band director actually connected me with a teacher. His name was Wayne Richards in Chicago. And he really changed my whole outlook towards music because he was really interesting and he was really inspiring. He kind of put everything into the right context for me. He talked about why. Why practice? And why scales and why etudes? And regular practice was important. And you know that really changed everything for me. And really, I attribute that experience to working with him to really starting to understand what the potential was with music. And from then, things kind of took off and then I got really serious about music and really dedicated and it went from there. The progression, naturally, after that was that I was eating, sleeping and breathing music and I kind of wanted to major in music in college and I ended up getting accepted to Northwestern University and I studied with Fred Hemke there. But you know, classical music was great for a while, but I was more interested in pop music and jazz, R&B and blues and things like that. Kind of moved in that direction and kind of focused my energies in that area. Want me to keep going. It’s a long story. No, that’s good. I’m actually going to go back to something that you said earlier. You said, I know it’s been a while, but do you remember some of the things that your teacher told you early on about why practice was important? I think the thing that stuck with me was, the whole concept of working on your skills and technique, and most importantly, your sound… He kind of framed all these things that you’re trying to do are breaking away the barriers to your own self expression. If you hear music in your head and you want to really express yourself, then you need the tools to do that. If you don’t have the technique that’s necessary to portray music the way that you want to, then you’re holding yourself back. If you don’t have the sound that you want to hear and that’s going to represent your individuality, then you’re holding yourself back. So it really started to make sense. All of the things that we work on, you know, scales, etudes, and technique and sound, articulation and all these things. They’re kind of cumbersome but we have to work on them everyday. They’re really not an end in and of themselves. They’re really to help us build the tools so that we can play music, we can play freely, and express our ideas really. You said that early on your father and your teacher were big influences for you, but was there anyone else that influenced you along the way? Like a performer or maybe some people you were listening to? And we kind of pushed each other that way which was really great. I think it’s important to find a group of people – friends or colleagues or whatever – that are going to inspire you and push you to work harder and do better and be more dedicated with your music. I think that the group of people that you hang with is really important. What gave you, you know, made you think one day that “I really love music, this is what I want to do” – was there any one thing that gave you the confidence to pursue music as a career? Well, you know, obviously there was some success through competitions. You get evaluated by different people, professionals or judges or things like that. And the better you do, the more confidence you kind of acquire. But I think the thing that did it for me was that I realized there wasn’t anything else that I could honestly say that I could be great at. There was nothing that I had enough passion about that I felt confident that I thought, “yeah I could be great at this.” I liked a bunch of things, but I didn’t love a lot of things. My parents were really encouraging and they really wanted me to really pursue that thing that I loved and that I could be great at and that I could apply myself to 100%. I think that the combination of getting some good feedback as well as just knowing that there wasn’t anything else that I could possibly apply myself to the degree that I was applying myself with music in that I didn’t love anything as much as music. So it was really an easy decision for me. What are some of your thoughts on what it takes to be a successful performer? Do you think any other skills that you need to have aside from the ability to play your instrument well? Absolutely. I think that the more I perform, the more I learn. The one thing, and it took a long time to learn this, because you get so preoccupied with all these different types of things like how your instrument feels, how your reed feels and just certain physicality[s]. Do my chops feel good? Do I feel good on my instrument today? And we find ourselves kind of almost paralyzed by these things that are really internal. The thing that I learned about performing is that performing is about communication. It’s about moving an audience. And being vulnerable and letting people know who you are and what you feel. And you do that through your music. so personality is a really important part of artistry. So as much as you can portray who you are through your music and really form a relationship with the audience, I think the more successful you are going to be. Because people want to feel something. They want to be moved and they want to feel like they know you a little bit. So not holding back and really not being afraid to express yourself. The audience wants you to succeed. That’s something that a lot of artists and performers, and young performers, really don’t think about. The audience is there because they want you to do great. They want you to succeed. And that’s real positive energy. When I started thinking about that, you know, performing wasn’t scary any more. And it was really just more like a conversation which I really think is important. Something that you mentioned as part of that last question that I’d really like to get into because I think that it’s often talked about but as far as the methods as to how to actually do it, I mean, it’s going to be a little bit different for every person, but I was wondering if there was something, for you, that you’ve found to be really effective… You said that it’s important to kind of show the audience who you are and portray who you are as a person in your music but obviously on stage and in different situations, it’s hard to do because you have to somewhat exaggerate it a bit on stage for people to really see it, so what have you found to be an effective way to do that in your personal experience? I understand why you would make the comment about why you would have to exaggerate it a little bit. And yes as performers, whatever we’re doing we have to multiply it by one-point-something. It needs to be a little bit bigger, a little bit more compelling. But honestly I think that, and I’ve learned this later in my career, I think that when I became comfortable with who I was and simply allowed my own personality to enter into the equation, my performances were better, my career was better. I think sometimes we are so afraid to just be ourselves and we think we have to become something different. And honestly, I think that regardless of what you’re doing you have to start with being really confident with who you are and allowing your personality to come out. And yeah, once that’s there, maybe there’s a little more showmanship that goes along with it, but you know showmanship has to be something that’s pure and honest. If you’re starting with a persona, you’re starting with a basis that’s not totally honest and true and when you start putting the exponents on it, all you’re doing is making something that’s not real, more unreal. I think that when you start out and you’re confident with your own personality and you’re comfortable with being who you are on stage, and when you add the extra showmanship to that, all you’re really doing is turning up the volume on something that’s really there and really honest and the audience really responds to it. And that’s a really hard thing to do because you get all kinds of feedback when you’re performing. Sometimes you feel great and the audience is really engaged and sometimes you look into the audience and you may perceive that they’re not as interested or as excited as you want them to be. But one thing that I’ve learned for sure is that you can never, ever know for sure what people think because I’ve played shows where I thought the audience was really dead and they would come and see me after the show if I was signing CDs or at the merch table or whatever… And they would be glowing. So you really don’t know. You just have to do your best and you have to be consistent with who you are. A lot of performers get their energy from the audience interaction and they kind of gauge what to put into their performance based on the way the audience is responding. So in a situation like that, what would you do to maintain the energy and excitement of your performance? Well, you know, that’s another good question. The ideal situation is that you’re putting out a lot of energy and excitement and the audience is giving it right back to you. And there’s really cool relationship that you feel. You know, audiences have kind of this collective personality which is really interesting to experience. But you have to also realize that sometimes the audience’s personality is not going to be as outgoing as you hoped. Sometimes they’re going to be reserved. Sometimes you’re playing a show on Friday at eight o’clock at night and what you don’t realize is that even though you’ve been in your hotel room relaxing before the show, all those people have been in traffic because they left work, they went home, they picked up their significant other, they paid the babysitter, they drove for an hour in traffic, they had to find parking… I mean, there’s all these things that go on. And I think what you have to do is just, no matter what you feel from the audience, you have to give it 100% and you have to play the same way you would play in front of 3,000 people in front of 3 people. And if you have that consistency and that confidence, you’re going to turn the audience around and they’re going to be in your corner. You can’t assume that every single audience member is in the best mood and is ready to really engage. Sometimes it takes a while. You have to not be discouraged if you’re playing and you see the audience isn’t responding the way you want. I say dig in deeper and get them there because if you do that, they’ll be with you. So let’s change gears a little bit and talk about what you’ve been doing. I read on your website that you were involved with the City of Prague Orchestra and the Chicago Symphony Orchestra. How did that happen? Well, the Chicago Symphony Orchestra was the result of a concerto competition when I was… I actually did it in high school. But I was able to perform with the orchestra my freshman year in college and I was a prize winner, I was a finalist. So they picked three finalists from the field and all of the finalists got to perform with the orchestra. It was an amazing experience but it was also really interesting, and this is something that musicians and artists have to adapt to sometimes… I wasn’t able to perform with the orchestra the piece of music that I was competing with. Because when I talked to the assistant conductor who was leading the concert that I was performing on, he didn’t want to conduct it. So he told me that I could play this other piece. And that was a little off-putting. So all this time I had prepared this one piece to play and then I had to prepare this other piece to actually play with the orchestra. The other thing that was interesting was different styles and understanding how things worked. I remember I couldn’t really make sense of how the conductor was bringing me in. And so I suggested that I take these pickups and he was really off-put because he wanted me to do it his way. And I remember the concert master taking me aside and saying, “don’t worry, we’ll be with you.” And that was a really interesting thing. The City of Prague Orchestra thing actually happened later on. It was a recording that I did and I was hired to play on an album of film music. The composer had been working with the City of Prague Orchestra and I was hired as a soloist to play on this record. So two very, very different experiences with orchestras. One in a live setting as part of a competition with a little bit of a curveball and a conductor who wasn’t absolutely magnanimous. And the other one is that I was hired to do a recording which was a lot more comfortable. Two very different ways to work with orchestras. You’re one of the founding members of the Sax Pack – how did that get started? Well, you know, it got started primarily because my good friend Jeff Kashiwa who’s a great saxophone player with the Rippingtons with a wonderful solo career… He called me up out of the blue one day. We had known of each other and we had seen each other perform and we had been fans of each other but hadn’t spent a whole lot of time together. We would run into each other on the road. And he called me up and he said “I have this idea.” I think it would be really cool if you and me and there was this other saxophone player that we were really familiar with and really loved his playing, Kim Waters. He’s like “I have this idea, what if the three of us put this thing together and started doing some shows? It’s really not being done and I think we can do something interesting.” And immediately, I was like, yeah, you know, this sounds really cool. And we got together. The first time we got together was to play a show. We all had the same agent and we brought the idea to him and he was like, “yeah I could book that.” So he started booking shows. And the first time we put it together was in Albuquerque and we got this gig. And we showed up a couple days early. And flew the band in and had a couple of days of rehearsal and kind of started out from there. The cool thing that happened was, unbeknownst to us, because we had no idea how it was going to go, there was this great chemistry on stage. And I think that that was one of the things that we were very lucky with, but also, one of the things that audiences really pick up on is chemistry. We were playing the music, but we were also having a lot of fun. And the audience picks up on fun. They know when you’re phoning it in and they know when you’re having a blast. And we were having a blast, so, you know, that’s been going on for the past ten years. And it’s never not fun. Well, you guys really took a risk performing together for the first time without kind of testing the waters to see how you’re going to connect musically on stage, and so, I think that’s really interesting because I think that’s an important skill that every musician needs to have. I think that we’re often put into situations where members of the band may be unfamiliar or the style of music and different things like that. So you need to learn to adapt quickly. Do you have any tips for young performers as far as that goes? Yeah, absolutely. I think the first thing is to understand that there’s something to be learned from everybody. And listening and really engaging with other musicians is so important. Because I learn more performing with others and being around and associating with other musicians than anything, than any other kind of schooling or knowledge that I’ve before. That’s really what is cool. It’s opening yourself up to experiencing other people’s ideas and their artistry. The other thing is that your ego really has no place on the stage. You can be confident about your playing and that’s great. You should be. But performing with other musicians is not a competition it’s a collaboration. And the more collaborative you are, the more you go into a situation with an openness and an acceptance and a desire to engage in music and art and creativity with others, the more fun you’re going to have. And the three of us are very different players and we have very different skills. And there are things that Jeff does that he does way better than me. And there are things that I do that maybe I’ve worked and spent a little more time on than he has. And Kim the same thing. But we’re not intimidated by each other and we’re not threatened by each other. We appreciate each others’ abilities. And that shows too. So really having an open mind and checking your ego and be willing to learn. When somebody does something that is great and you’re like “wow I can’t do that.” Use that as energy not negativity. Just like, “wow, I have something to work on, that’s really cool.” Or, “You know what I’m just going to love the fact that that musician pulled that off and I’m not going to be threatened by that.” The more positive you can be and the more accepting, the more fun you’re going to have. True. It doesn’t make anyone look good when the musicians on stage are trying to out play each other. It becomes really obvious especially when there are a lot of musicians just there for the love of music and then there’s a couple of them there to be noticed. Mmm.. You know, you’ve got some work to do, you know? As an artist, Pulse is your ninth project, is that right? I just released my seventh solo record and if you add in the two Sax Pack records, this is my ninth attempt. And “With You All the Way” is currently #12 on the charts, I checked this morning, so congratulations! Why don’t you talk a little bit about the project? and it was released on Atlantic Records in 1998. So it’s been a minute. I’ve been doing this for a little while, at least making records. One of the things that I learned throughout this whole process is that the less preconceived notions you have about making a record or releasing music, the better off you’re going to be. When I put out my first record, I didn’t know anything. I didn’t know about radio, I didn’t know about promoters, I didn’t know about audiences. I didn’t know anything. All I knew was the music that I liked and the music that I liked to play. And I made a record that really represented that. And while we all have to really keep the audience in mind… Because they’re the ones, your success depends on the audience and entertaining them and giving them music that they respond to. But in a sense, when you’re doing this stuff, you gotta turn that off a little bit – at least the industry part. Like, “Is this going to be okay for radio? Is this going to be this? Is this going to be that? Should I do this?” You start thinking too much and then the music suffers. So with this record, I tried to turn those little voices in my head off and said, “You know I want to make music that is fun. That I want to play over and over again, that’s really natural.” And that’s what I did. I had a lot of fun making this record. I was asked in an interview not too long ago “what was the high point of making this record for you?” And the high point of making this record was making the record. It was so much fun. From the writing to the production, and even the part that I always dreaded when making a record, was having to play saxophone on them… I mean, that part was fun too. So, I really feel like I captured the spirit of my first record on my seventh record after going through so many kind of permutations and ruminations about what I should do. This is a record that is about what I wanted to do. And I think that’s a good formula because I think that the audience is really responding to it. It’s a win-win. It’s always nice when the audience responds to something that you really put your heart into and something that you really wanted to do rather than something you’re trying to do because you think it’s going to work. Right, exactly. Very well put. So this next question is a two part question. What inspires you to continue to pursue music? And have you ever come close to giving up and if you have, how did you overcome that? Yeah, I came really close to giving up. As a matter of fact, after I graduated from college with my economics degree, and not my music degree, I went into a completely different world. I went into management consulting and I went to work for corporations. Like strategic planning and stuff like that. What I realized was, going through that process, that even though the money was great, I woke up in the morning and I didn’t want to do what I was doing. I would get up at six in the morning and I would go to the office or I would get on a plane and see a client and I knew that I wasn’t doing my best work. I was doing good work because you persevere and you give it the old college try, but I realized that I was not happy. And that was the thing that really kind of brought me back to music. The reason that I got into it and the reason that I pursued it was because I loved it. At the time, nothing gave me that same kind of satisfaction that music did. And my experience working in industry, you know non-musical industry really reinforced that I belonged as a musician. And I think that my advice for people who are, and we all go through struggles, you know, every single artist, whatever their level of success, you go through these trying times. You go through the self-doubt, you go through the reality sometimes of “How am I going to make a living doing this?” But I always come back to this. And this is the advice that Dr Hemke gave me when I left the school of music in college. He said to me, “All I wish for you is success. Whether that’s playing the saxophone or doing something else, it doesn’t matter. I want you to be successful. But, do yourself a favor. Whatever it is you pursue, make sure you love it and make sure you give it your best.” And for me, whether the best is compared to others or just in your own mind and satisfaction, I think that’s really the rule. You know, these days, especially in this economy, there’s two kinds of careers. There’s bad careers and there’s great careers because the good careers are gone. The good careers that made it okay to not follow your dreams, “I’ll work for this company for 35 years, I’ll raise a family, I’ll be fine and I’ll put my kids through school, and I’ll retire with a pension.” It doesn’t exist any more. The easy way, the fall back plans are gone. The only thing that’s left are bad careers, you know, working twelve hours for not enough money at something that you really don’t love or the great careers. The hard road. The ones that pay off in exponents. The careers that are there because you followed your dreams and because you pursued the thing that you love. Because if you pursue the thing that you love, then you can be great at that because you love it. You can’t be great at something you don’t love. You’re never gonna ever have, you’re not gonna put in what needs to be put in for something that you don’t love. So my advice for my students is if you love it, just run at it 100%. Commit yourself to it. And when you do that, you’ll find that there is success. There’s a likelihood of success. Because that thing is what you’re going to be able to put your entire person into it. So, that’s what’s worked for me. Always to get better. To be a better musician. To be able to express myself more effectively. I’ve actually started to get back into the study of classical music again. And actually, I’m very excited about potentially pursuing a doctorate in music. Going back and really engaging… I teach at the University of St. Thomas in St. Paul Minnesota and I run there music industry program and also teach saxophone. Being around students and being inspired by them and their aspirations has really changed a lot about the way I think about things. It’s exciting to have that kind of accountability and to have that excitement about teaching and learning. So yeah, one of my goals is to get back into the classical repertoire that I kind of left behind several years ago. And really kind of accomplish that. Be a better teacher. A better scholar. A better musician. A better colleague and collaborator. Continue working on my playing, on my writing. And continue to put out good music and continue to play music for as many people as I possibly can. What are some of the things you enjoy most about being a performer and recording artist? I think that the thing I look forward to most is performing and kind of these relationships that you have with the audience every time you step on stage. That’s something that I absolutely look forward to. I look forward to the musicians that I perform with both professionally and socially. One of the great things about my music is that it’s a little bit of a small world. You tend to run into the same cast of characters and for me it’s so much fun because it’s so great and they’re such great people. So I really enjoy and look forward to the kind of camaraderie of the musicians. And just hanging out and catching up and also just stepping on stage and making great music together. It’s fun to kind of see the country and see the world. Although the one thing I can tell you is that traveling can be arduous. Some of us, we joke around, they don’t pay us to play, they pay us to travel. Airports and long drives and getting to your hotel at midnight when everything is closed. And then waking up at 4am in the morning to catch your 6am flight to the next gig. That could be pretty rough but you know, we do it and we push through because what’s on the other end is really worth it. So yeah, those are the things that I really look forward to and I don’t think I’ve ever had a bad day as a musician. Well then you might not have answer for my next question. My next question is: What was your lamest gig and how did you learn from it? And you know, the caveat is not to say that I’ve had lame gigs. You know, there’s so many of them. When I was coming up as a musician in Chicago, I wasn’t playing on stage for people who were there to see me. I was playing somebody’s wedding a lot of the time or playing in a club until four in the morning with, gosh, an interesting cast of characters. I remember one in particular that almost made me want to jump off a building. It was a benefit that I was playing and they were holding it at Marshall Fields in downtown Chicago. They closed the store and it was a big benefit that they were holding there. I was playing with a trio, you know cocktail music. It was standup bass and guitar and the guitarist was playing through a battery powered amp because it was just this little portable thing. And the party consultant said the guests needed to go to the fifth floor because that’s where they set up dinner and we want you to get on the escalators and start playing “When the Saints Go Marching In” and have them follow you up to the fifth floor. But you know, those are dues man. There’s something to be learned from all of it. So, but what did you learn from that? I learned that I never want to play saxophone on an escalator again. But you know what? I’ll tell you. I’ll tell you exactly what I learned from it. Sometimes even when you’re doing something that you love, there’s going to be a point where you’re faced with a decision – do you settle? And as a musician in Chicago, you know playing clubs and playing parties and playing weddings, benefits and balls and whatever, I was making a pretty good living. There’s a lot of work. And you know, every gig paid a good amount of money. And there are people leading very respectable, middle-class lives playing music. But, the extent of the music that they’re playing, they’re playing music, they’re in the background. They’re there, but they’re not the focus. And what I learned from that experience is that even though it’s a fine and respectable way to make a living, and a lot of people do it and bless them for it, I wanted more. I wanted to take the next step. I wanted to play music for people who wanted to hear music. I didn’t want to play music for people who wanted to sit at a table and talk to their friends and eat their chicken and cut the wedding cake. I wanted to express myself and I wanted to be an artist. And I wanted to perform for people who were interested in hearing the music that I was making. And that experience helped me out of the rut. This is just fine, I’m making plenty of money and I’m playing music and I have a lot of time off. That wasn’t enough for me. And I knew that if I stayed there, that I would have more of those experiences of, you know, “When the Saints Go Marching In” on the escalator. And I didn’t want to do that. I wanted to keep going. And I wanted to aim, just personally, I wanted to aim higher. And again, not to discourage the people who are making a living at doing that, that’s a great triumph, to make a living playing music. But there’s a lot of different ways to do it and I chose a different path. And knew that I didn’t want to stay on the one that I was on. So if you haven’t already mentioned it, if you had a single piece of advice for an up and coming musician, what would that be? Make sure that you love it, and if you do put everything that you have into it because that’s the only way. The only way way to succeed, well, the beginning of the path to success is make sure that you absolutely love it and commit yourself to it. And be great. Don’t settle. Don’t settle for okay. Be great. The other side of it is, you have a responsibility today more than ever to understand the business that you’re in. And understand that not only do we have to be great performers and great artists, we have to be very savvy business people. And understand that not only do you need to find distinctive qualities in your playing, but you also have to communicate that and build awareness of those qualities with the public. And reach out to them and engage with them as much as you can, knowing that the trick and the path to success is to engage your audience, build a community of support, and constantly grow that community. That’s our job. We have to be great marketers, we have to be great communicators. We have to understand how we use all these great tools that interact and communicate. Do it with respect, but with some strategy behind it because we have to understand the business that we’re in. Do you have any new projects or shows coming up that you’d like to mention? Well, I’m going to be on the road pretty regularly. I’m in Orlando, Florida and then I’m going to be, next weekend, in Denver, Colorado, and Las Vegas at the Las Vegas Jazz Festival, the weekend after that I’m in Redding, Pennsylvania and then New York City and then after that, Catalina Island. My website is stevecole.net and my whole tour schedule is up there. It’s also the Sax Pack’s tenth anniversary next year so we’re in the studio right now making another record. So that will be released in 2014. And yeah that’s kind of what’s going on. And any endorsements or anything you’d like to mention? On tenor I’m playing a Guardala mouthpiece, not the expensive handmade ones, but the ones you can still buy. Yeah I bought mine when the woodwind was kind of selling them, the laser cut I play, it’s called a Super King R&B and I play Hemke Reeds and I play a Selmer saxophone. Just in terms of my equipment, that’s what I’m doing. Yeah, I love cooking. I don’t know if I’m very good at it but I absolutely love it. And when I’m not playing and I’m not cooking, I absolutely love my career as an educator. I love teaching. I love teaching students about the music industry. I’m kind of a media junkie and I’m always kind of studying new developments in that world. So yeah, playing, writing, teaching, cooking, and raising a family but that’s my deal. Well, thank you for letting me pick your brain. That’s all I have for you unless there’s anything else you’d like to add? No, you covered it. You’re one of the most astute interviewers I’ve encountered in a long time. Thank you so much for all the thought you put into your questions. I think they’re great, great questions. I really, really enjoyed talking to you. I wish you every success. Once again, another huge thank you to Steve Cole for spending the time to talk to us. If you’d like to learn more about Steve and his music, you can visit stevecole.net for more information. 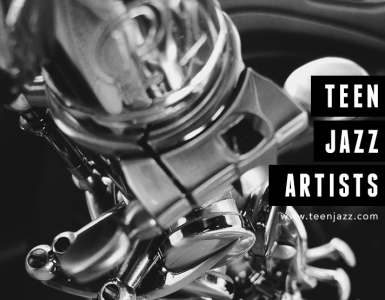 Before I close out the show, I’d like to invite you all to check out Teen Jazz if you’re interested in learning more about me, Shannon Kennedy or the community. It’s TeenJazz.com.